British folk singer David Gray has been a success in his native land as well as finding success over the pond in the states. His latest album recently debuted in the top ten on the Billboard 200. The album is Foundling and it continues a strong run of success for Gray that dates back all the way to the ’90s. 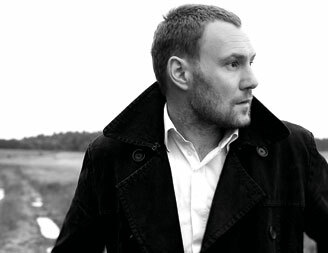 Recently David Gray sat down and performed a Johnny Cash tune – Long Black Veil . He sounds a little bit like Bob Dylan and there is definitely a little Johnny Cash and George Jones in the tune, but ultimately the song becomes David’s own with a little tinge of Americana as he describes. I really like David Gray’s performance of Long Black Veil. The song has been recorded by the likes of Cash, Jones, and Lefty Frizzell and probably countless others. It’s great when artists get out of their comfort zone and do something unexpected. That’s usually when fans and artists discover something about themselves that is great. I didn’t know I’d like David Gray before hearing him sing this old country tune. This performance actually introduced me to David Gray. I love it! I would love to buy a copy. When will it be available?